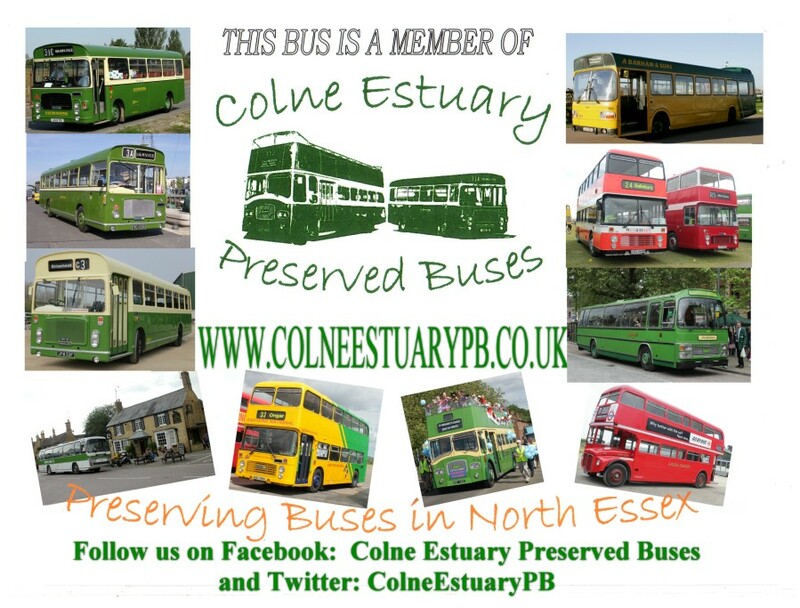 Not all of the Colne Estuary Preserved Buses (CEPB) vehicles are on display to the public as some are under restoration. For details of where you might see one or more of our vehicles, please visit the EVENTS section. Click on the links below to see the vehicle's history (where available). Crosville was a major user of the Bristol RE chassis, purchasing 288 of them in total. ERG53, UFM53F, is a 1968 Bristol RELL6G with 50 coach seats in a standard ECW bus shell, one of a batch of ten delivered at around the same time. The Crosville dual purpose livery presages the NBC local coach livery which became common several years later. The buses, with semi-coach seats, were suitable for inter-urban and longer distance routes. ERG53 was been extensively refurbished inside and out by Paul Ashman, who preserved and rallied it until November 2014. In November 2014, UFM was acquired from Paul by Fred Lawrance and Chris Sampson in order to keep it in preservation with CEPB. In December 2016 Chris Sampson became the sole owner. 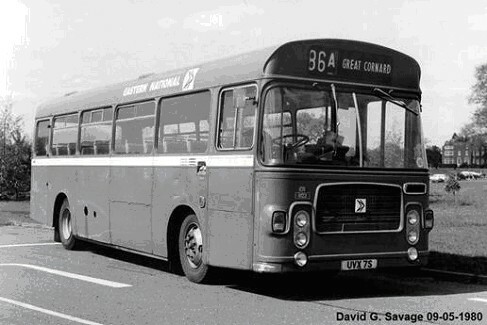 FWC439H was delivered to The Eastern National Omnibus Company in December 1969. Part of a batch of 5, it was given fleet number 1516 and allocated to Chelmsford depot. The bus was painted in traditional Tilling Green with a Cream band and traditional style fleet names, which it continued to wear until succumbing to corporate NBC leaf green shortly after leaving Chelmsford. In 1973 FWC439H was re-allocated to the former Moore Brothers depot at Kelvedon and remained there until October 1974 when the depot passed to National Travel South East. 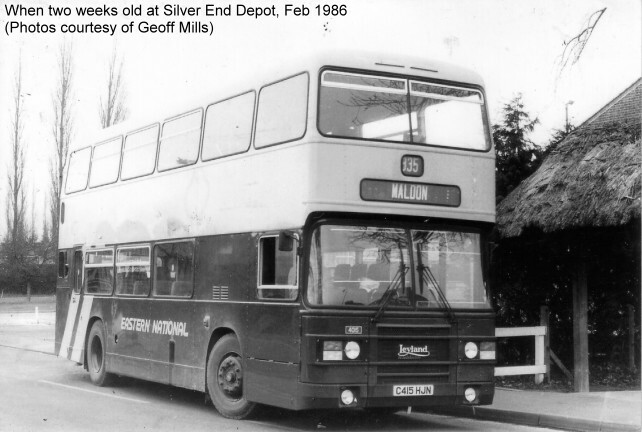 All of the buses allocated to Kelvedon were moved en block to the former Hicks Brothers depot at Silver End. While based at Kelvedon and Silver End depots FWC439H frequently transported the vehicle's present owner to and from school. During 1977 FWC439H was re-allocated to its original depot Chelmsford, where it remained active until withdrawal in December 1982, before going into store at Maldon depot. Along with a number of similar vehicles, FWC439H passed to Ensign (dealer), Purfleet in June 1983. Whereas most members of the class were dispatched to then war torn Belfast, FWC439H was sold to Kent County Council who professionally converted to an 8-berth holiday home for under privileged children. The vehicle was smartly painted in a blue and black livery and served this owner, who maintained it to a high standard and kept it in excellent condition for a period of just over 8 years. FWC439H was then purchased by Mrs. B. Taylor of Peterborough, who continued to use the vehicle as a caravan, whilst at the same time allowing it to deteriorate, both mechanically and structurally. Rectifying matters has proven very costly; both in terms of many man hours spent, and significant financial investment. Luckily the vehicle survived scrapping and the daunting task of restoring FWC439H began in March 1996, when the vehicle was acquired by Eric Gravelling and Keith Barton of Peterborough. The vehicle was continually improved during its time in their ownership. They removed all the caravan equipment and although not original, they fitted a complete set of Alexander seats, as well as repainting the vehicle into a pseudo original style livery. During their ownership, although securely parked, the vehicle remained open to the elements. 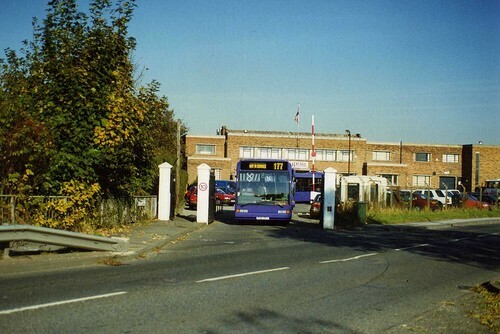 In September 2001, David Edwards, a driver at First Essex Buses, Colchester depot, jumped at the opportunity of acquiring the bus on which he had travelled to school. A great deal of time and money has been spent in recent years steadily returning the vehicle back to original condition. 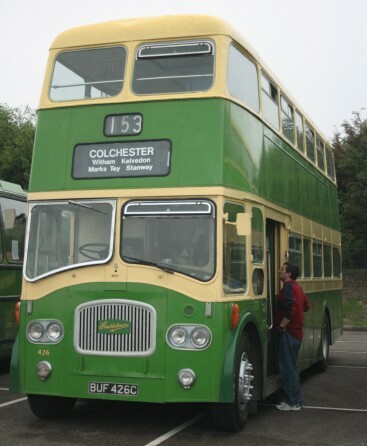 In 2006 extensive repairs were undertaken, including partial rewiring, fitting of ECW seats, refurbishment of the body structure with some re-panelling and a professional repaint into its original livery of Tilling Green and Cream. After this work was completed, disaster struck when the engine failed en route to the MOT test centre at Ipswich. A Gardner 6HLXB was sourced, believed to have originally come from a National Greenway before being fitted to an ex-Ulsterbus, ex Ipswich Leyland B21. FWC439H now exudes both class and a touch of sartorial elegance, as it did when new. It is now mechanically sound and, apart from the occasional hiccups suffered by older vehicles, runs extremely well. UVX 7S was one of 4 identical Bristol LH's that entered service with Eastern National in September 1977 (UVX 4S - UVX 7S). All 4 had the less common 4-headlight style front. 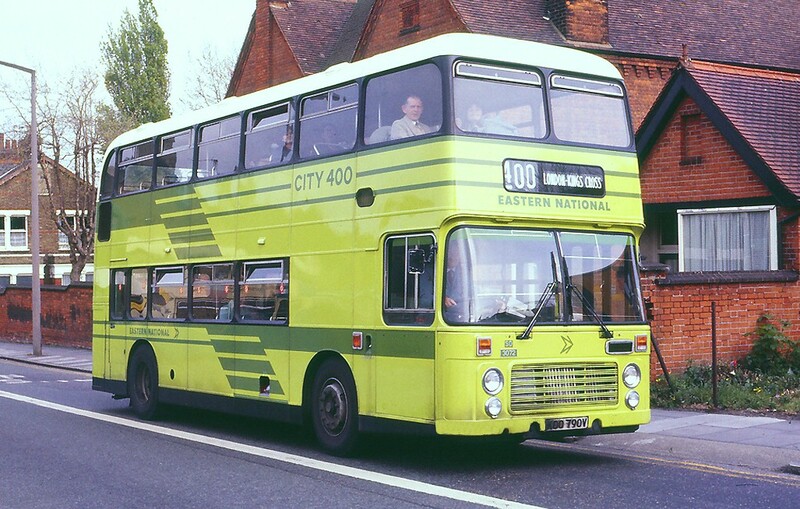 Her original livery was National Bus Company (NBC) Leaf Green, initially with a white band along the side, though this was lost at a subsequent repaint. These were Eastern National's only Bristol LH's (Light Horizontal, referring to the engine) and were based at Colchester (CR) Depot. Though intended for the lightly loaded and more rural routes, they ended up operating on general routes out of Colchester. They were lively performers, though not all drivers liked the manual gearboxes and lack of power steering. After only 5 years, they were sold as a batch to neighbouring Hedingham & District Omnibuses, entering service in October 1982 in Hedingham's red and cream livery. They were painted into a revised version of Hedingham's smart red and cream livery, by Eastern National Engineering, Chelmsford, prior to entering service with their new owner. UVX 7S had Hedingham fleet number L114. All 4 were mainly operated out of the Little Tey depot and were in service around the Colchester area, though UVX 7S also spent time at the Hedingham depot. In July 1999, UVX 7S was withdrawn from Hedingham's Tollesbury depot, still in excellent working condition, and sold to company employee Dave Arnold of Maldon, who rallied her for several seasons before storing her. Dave also acquired sister vehicle UVX 4S which, being in good condition but less smartly turned out, was cannibalised for spares. The remaining sister vehicles, UVX 5S and UVX 6S, went to Silver Star and were later scrapped. UVX7S spent some years in storage, albeit kept in working condition, and in June 2006 was acquired by Fred Lawrance of Colchester. In August 2007, she was repainted in 1959-style pre-NBC Tilling Green and Cream as a homage to the glory days of the company, but retaining the Hedingham black front grille. Although she never wore this livery in service, Fred considered it more elegant than the bland NBC all-over leaf green. Although she was lively and a good performer, she turned out to have dangerously low engine oil pressure and needed a bottom end engine rebuild. She was reunited with her original Eastern National "1103" fleet number plaque, kindly donated by the enthusiast who purchased it. 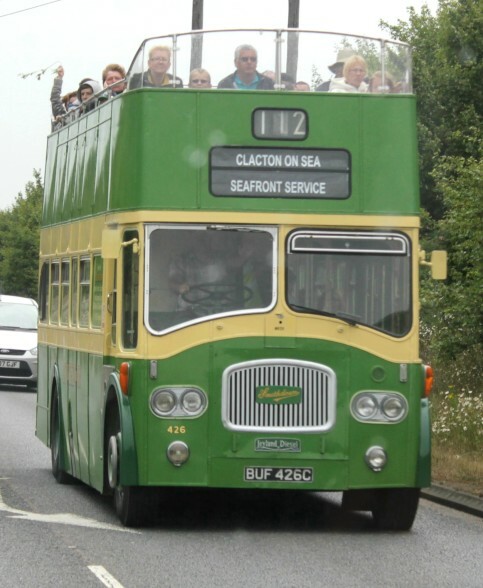 As part of the Colne Estuary Preserved Buses collection, she was rallied in Essex and further afield. 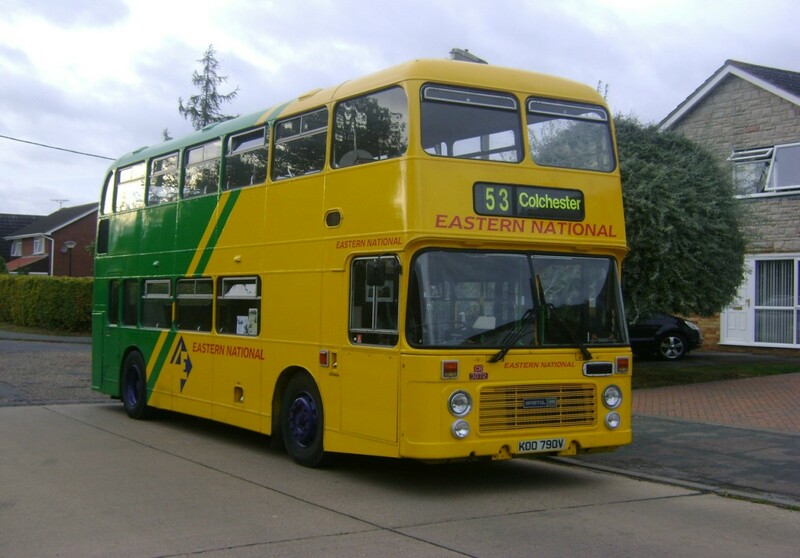 In January 2011 ownership was transferred to Eastern National enthusiast Sarah Hartwell of Chelmsford who will retain this livery and rally her mainly in the local area. UVX 7S remains with Colne Estuary Preserved Buses in its current "retro" livery. 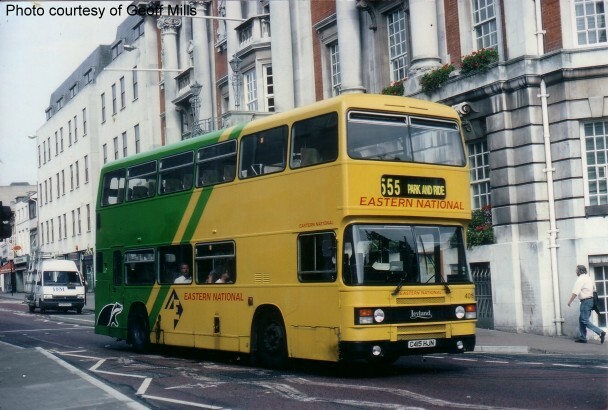 During the last few months of 1979, Eastern National placed an order for some new Bristol VR double deck buses with Eastern Coachworks (ECW) in Lowestoft. 3072 was part of the batch that was eventually delivered in March 1980. She initially carried white-and-Tilling-green dual purpose colours and began her career on the City 400 route between Southend and Kings Cross. Three years later this well-trusted workhorse received a "venetian blind" livery makeover and for a time she and her sister vehicles remained on the City 400 route. In 1986 she went back into the paint shop to receive her first proper Eastern National fleet livery in yellow and dark green, affectionately known as "spinach and custard". 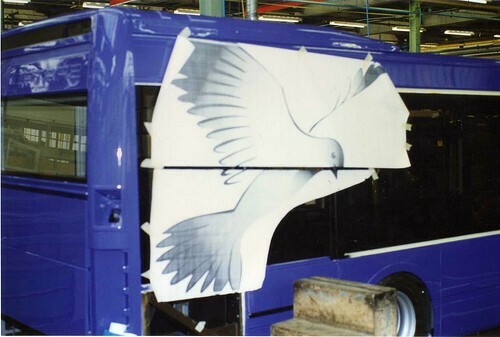 Company vinyls were applied at this time, but within a few weeks, Citybus logos were also applied and she was relocated to Ponders End depot to operate local bus services. By December 1990, 3072 was back under the wing of Eastern National in North Essex working out of depots such as Dovercourt and Colchester. 3072 continued to be used by various North Essex depots, ending her service days at Braintree, mainly on school runs. In 2004, 3072 was due to be scrapped but she was saved by the then MD of First Essex Buses and given a complete makeover by Marshall Bus UK of Cambridge. 3072 received a reconditioned engine and an interior makeover. She also had a lot of her panels replaced and was given a fresh lick of yellow and green paint. For five years this Bristol VR bus was part of the First Essex Heritage Fleet appearing at Rallies and occasionally operating on local services such as rail replacement, the V Festival shuttle and the occasional wedding. Then in the autumn of 2010 rumour had it that First were to sell their heritage fleet including the Bristol VR and Luke Deal entered negotiations to buy the vehicle. Having initially accepted his offer and money, First went back on their word. After a little gentle persuasion from a solicitor, First agreed to go through with the deal and Luke took ownership of this brilliant vehicle in October 2010. Having lost his beloved grandmother Barbara Crosby that year, Luke Deal used some of the money she had left him to buy the vehicle. 3072 is now named Barbara in honour of Luke's grandmother who first introduced him to buses in 1973. The work to fully restore her has now well and truly begun. This has included re-instating her front grille with identity badges and reinstating her upper deck front windows with open hoppers. Inside, all her infill strip has been replaced with the traditional ECW brown and many of the seats have been replaced. Luke hopes to give her a complete respray sometime during 2013, retaining her current livery. 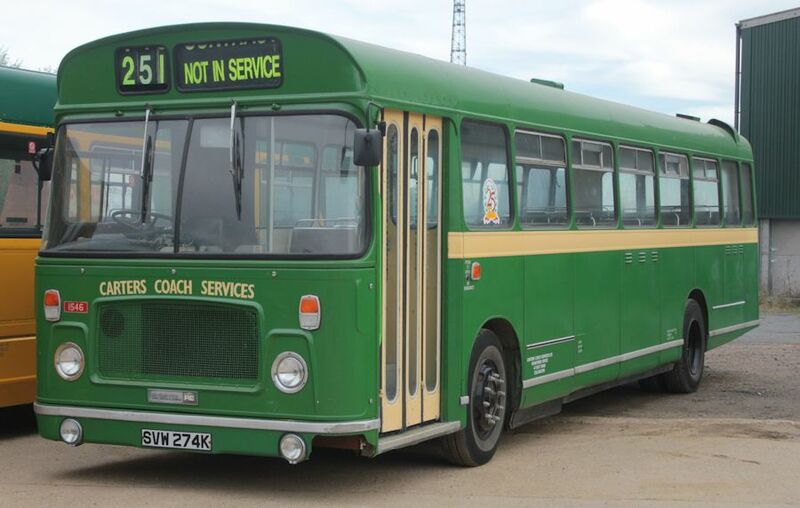 At Showbus, Duxford in 2011, 3072 won "Best Vehicle From the 70s". First Essex 34815 was new to Eastern National's (now closed) Silver End depot, near Braintree, in February 1986 as that operator's 4015, one of a batch of 14 such vehicles numbered 4007-4021 (C407-421 HJN). This was the penultimate batch of double-deckers supplied new to Eastern National; only 3 more, also Leyland Olympians, were supplied in 1986 with ECW coach-seated bodies to a different design. All subsequent deliveries were single deck. C415 HJN had high-back coach seats from new for use on the longer trunk routes and subsequently was transferred to most of the North Essex depots, including Clacton, Colchester and Chelmsford where its almost 25 year service life ended in April 2010. It was subsequently bought by Ross Newman of Ensignbus (possibly the bus enthusiast's best friend) in order to prevent it from being scrapped, a fate that usually awaits Firstbus disposals. The current owner's initial impressions were extremely unfavourable, with a turgid performance and an aching right leg gained in trying to reach 4015's maximum top speed of 40 mph. This was due to two things: the need for a thorough service and a back axle and differential swap with an ex-Crosville Olympian some years ago which resulted in it being limited to a top speed of 46 mph. This will be attended to as soon as a more suitable back axle can be sourced. In 2012, a service revealed a serious issue with the engine and this will need a complete rebuild in 2013. 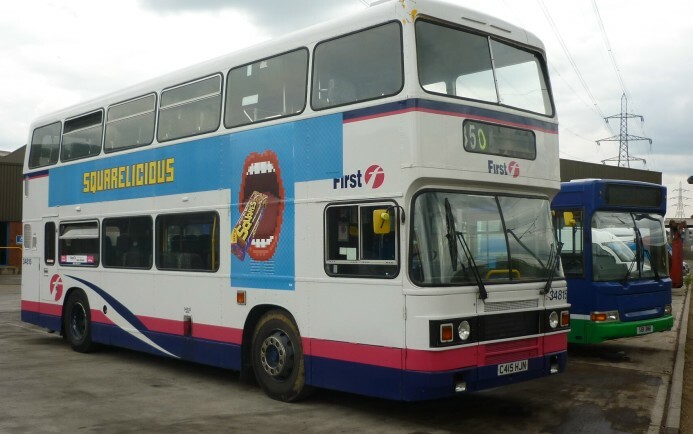 Due to the outstanding condition of the paintwork, the decision was made to retain the bus in First livery and Firstbus granted permission to do this. However the bus had been bought because of its Eastern National origins, but little evidence of this remains. Only 3 others of this batch are known to survive - 4018 which lingered on for 8 months after 4015 (C415 HJN), and now sold for preservation, plus 4012 and 4013, both now in Devon. 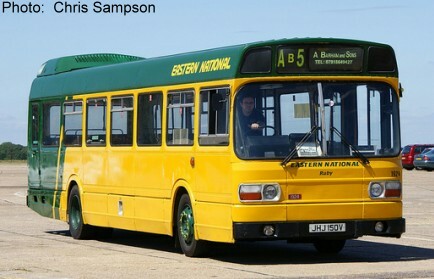 Leyland National JHJ150V, fleet number BE1924, was operated in Essex by Eastern National, initially in NBC green livery. She was the last Mark I National to be delivered to Eastern National, in November 1979. She was new to their Halstead depot and spent her service life working for Eastern National in North and Mid Essex. She was transferred to Clacton and Chelmsford in the 1990s and also spent a year at Airport Coaches in 1998 (part of First). Her early livery was NBC leaf-green with a horizontal white stripe. 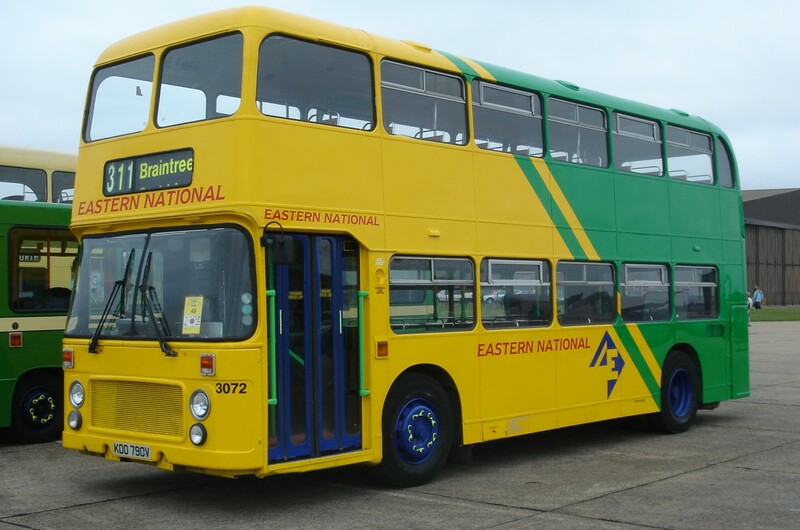 At various times in her working life she sported all-over advertising for Quest Motors of Braintree and Maldon; Eastern National post-deregulation yellow/green and First Eastern National yellow/green diamond livery. 1924 was the last of Eastern National's Leyland Nationals to be withdrawn from service. She went on to be used as a Driver Training vehicle for First Eastern National, continuing in this role as a Driver trainer until July 2003. The vehicle then passed to a preservationist in Benfleet and was rallied during in 2004. Unfortunately, 1924 suffered from the elements for a number of years and in late 2006 was offered for sale in a state of disrepair. She was purchased by Adam Barham (A Barham & Sons/Panther Travel). At this point a new engine was required and was sourced from Midland Red LN BVP763V. 1924 was finally put back together mechanically and bodily during April/May 2009 before going for MoT. She was unable to be repainted before appearing at Clacton Rally in June of that year and sported a rather colourful selection of replacement panels! A week before North Weald 2009 Rally, she received a repaint into Eastern National's post-deregulation style livery and the name "Ruby". She made her debut in this livery at North Weald Rally in July 2010. 1924 continues to be preserved by Adam Barham in this livery and is still undergoing refurbishment inside and out. She currently has a DT depot plate, but should be eventually reunited with her HD plate. 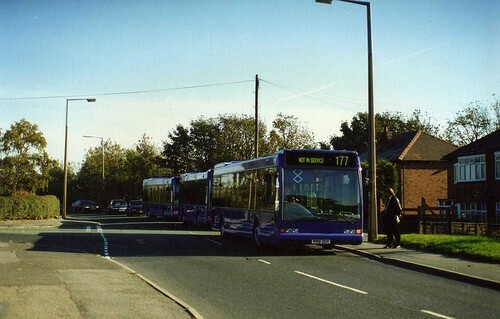 In November 1997, Suffolk County Council opened its ground-breaking first Ipswich Park & Ride site and the contract for the associated high specification bus route, numbered 800, required four new low-floor buses to operate a ten-minute frequency 7am-7pm service. Ipswich Buses was successful in tendering for the operation of the service and placed an order for four Optare Excels. The County Council was heavily involved in the design process and specified a new livery of purple, and chose an attractive rainbow square and grey moquette with modern grey laminates for the interior, including seating layout options for a high-capacity but wheelchair accessible service with other features, such as taped announcements, in order to attract car-users to the new service. 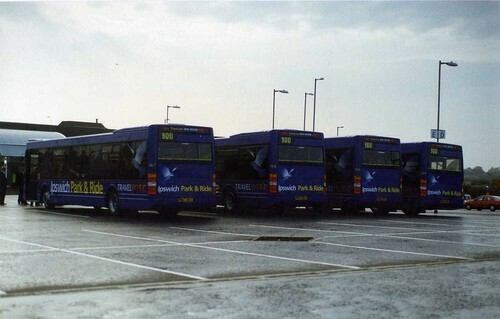 An attractive and functional livery was devised for these Ipswich Park & Ride (P&R) vehicles, which were numbered 186-189 in Ipswich Buses' low-floor single-deck bus fleet. Sister bus, 189, was fitted with a tachograph an attended Showbus the following summer, winning the "best modern in-service bus" category. The site and service won a number of other awards, including the Charter Mark and Park Mark standards, and the operation was featured in the AA magazine. Having served for just over five years, 186 and its three sisters were downgraded to town service in autumn 2002 when a new fleet of Excel 2s replaced them. 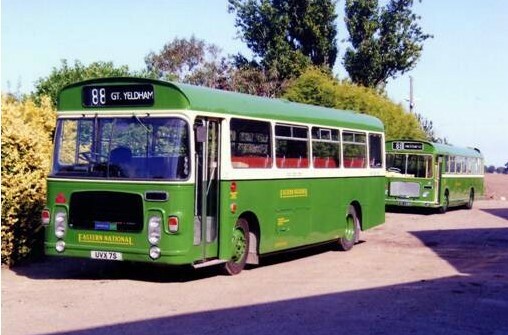 Having spent its early life in non-fleet livery, 186 later received the green and cream low-floor livery and operated with Ipswich Buses until around 2010 when it passed to Norfolk Green, being reprinted in their two-tone green colours. 186 was bought for preservation by Leon Wells and Dan Trent in 2012 and restored to its purple P&R livery. In 2016, it was transferred to Lyndon Carter, but remains part of the CEPB collection. Postscript: Bringing the story full-circle, that Park & Ride colour was chosen by of one of the CEPB members! Maxine Walker "being the only person my husband knew with a RAL paint chart"... "He needed a unique colour for these new buses on a new service...". 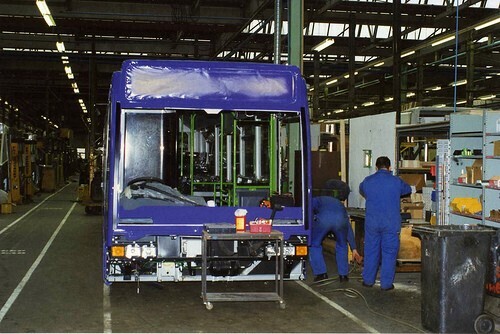 Her husband and CEPB member, Richard Walker was fortunate to have seen the vehicle being constructed at Optare and indeed to have driven this very vehicle on delivery home from the Optare factory to Ipswich when it was brand new ... and now a number of former colleague Park & Ride drivers and CEPB fellow members have had a hand in the restoration of 186. UUF 335J was one of 25 identical vehicles (UUF320-344J) delivered to Southdown Motor Services. It arrived in May 1971 and was allocated fleet number 1835. This batch of coaches was the last to be delivered new to Southdown, in their distinctive two tone green livery. They were all fitted with 32 seats (2+1) for tour work. It appears that the vehicle was originally expected to have been registered as UCD 835J. UUF 335J was allocated to Brighton (Freshfield Road) depot when new and apart from the summer of 1975, when it was allocated to Worthing depot, it remained there until 1981. During its life with Southdown the seating capacity was increased to 44 in June 1976, and in May 1978 to 47. On its first repaint during the winter of 1973 UUF 335J was repainted into the bland and uninspired corporate "white NBC Coach livery". 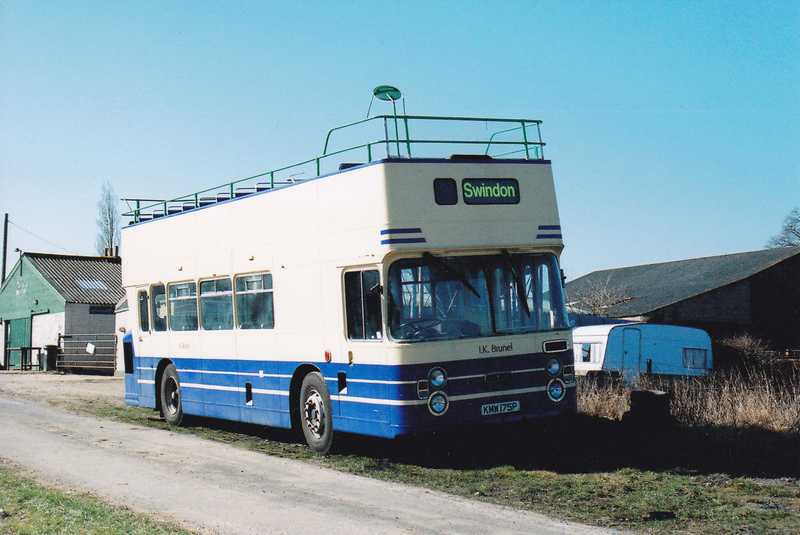 During 1981 UUF 335J was repainted in traditional Southdown coach colours principally for local excursion work; although it was regularly found in places much further a field. It retained this livery for the rest of its life with Southdown. It was one of 8 similar vehicles that received this welcome facelift. In early 1982 UUF 335J was transferred to Eastbourne (Cavendish Place) depot, where it continued to remain active until withdrawn from service in November 1985. Even during its last year in service UUF 335J continued to venture beyond local Eastbourne duties, and was photographed whilst on a tour in Torquay and in Dewsbury on a National Express working to Manchester. In July 1986 UUF 335J was sold to J. Sykes dealer, who sold it in September to Woods Coaches, Barnsley, South Yorkshire. 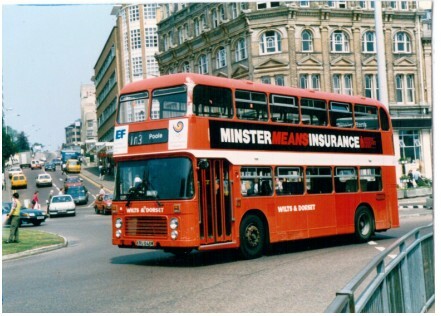 In January 1988 it was sold to Ashley Mini Coaches, Rowlands Gill, Tyne and Wear, who re-registered it to LOI 5726 a month later. In August 1988 it was sold to Fairline Mini Coaches, Glasgow, where it remained until January 1998 before moving to Carrs Coaches, Silloth, Cumbria. In February 2000 the vehicle was re-registered to BHH 83J. 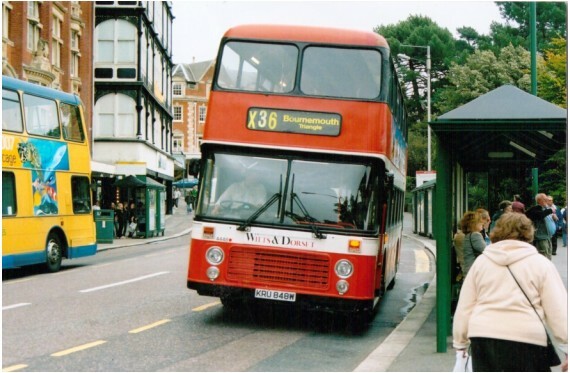 In April 2001 BHH 83J was sold to the 1835 Group in Worthing for preservation. The vehicle was repainted into traditional Southdown livery, but rarely seen. Fred Lawrance of Colchester - purchased the vehicle in May 2006 and in July the vehicle was reunited with its original number plate, UUF 335J. Since being with its present owner, the vehicle has been re-seated to 32, (recliners), fitted with tables and named the "Eastbourne Pullman". The vehicle has since been sold again in May 2009, however remains part of the Colne Estuary collection. After sale by Southdown, the vehicle has been subjected to a number of alterations by its subsequent owners. The fitting of a Plaxton Supreme IV front with a Bristol Dome, the removal of the opening side windows, the fitment of different style side trim and later style rear lights has resulted in some loss of authenticity. UUF 335J's original two-speed axle has been replaced with a single speed unit. For reasons known only to NBC accountants, (not a drivers choice), the vehicle was not fitted with power steering from new. This was remedied by one of the vehicle's previous owners, who retro-fitted UUF 335J with genuine Leyland power steering, making the vehicle more manoeuvrable and easier to drive. NEW TO:	Southdown Motor Services, Brighton, East Sussex. BUF 426C was one of five identical vehicles (BUF 425-9C) delivered to Southdown Motor Services. These were the last five of a total of 30 convertible open top buses delivered to the company during 1964-5. BUF 426C entered service in July 1965 with fleet number 426; a number it kept until being renumbered 3225 in 1978. 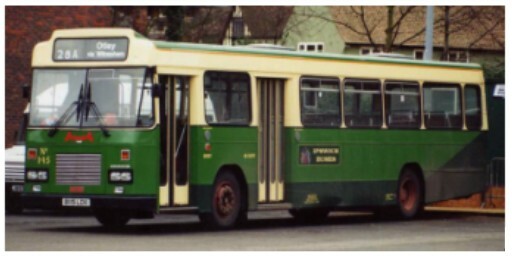 The livery was traditional Southdown apple green and primrose, which it wore until March 1975 before being repainted in the bland NBC leaf green. In common with all of the convertible open top PD3�s, the offside front ventilator was removed and placed in the roof dome of the later �panoramic� members of the class to improve upper deck ventilation. 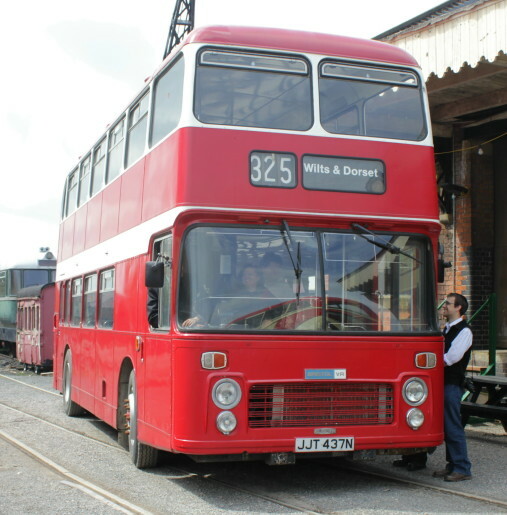 BUF 426C was initially allocated to Brighton Depot and remained there until being transferred to Eastbourne in January 1972. 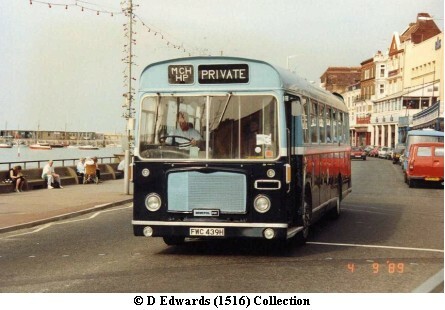 Whilst at Eastbourne it operated on all routes out the town including the route to the top of Beach Head, during the summer months. 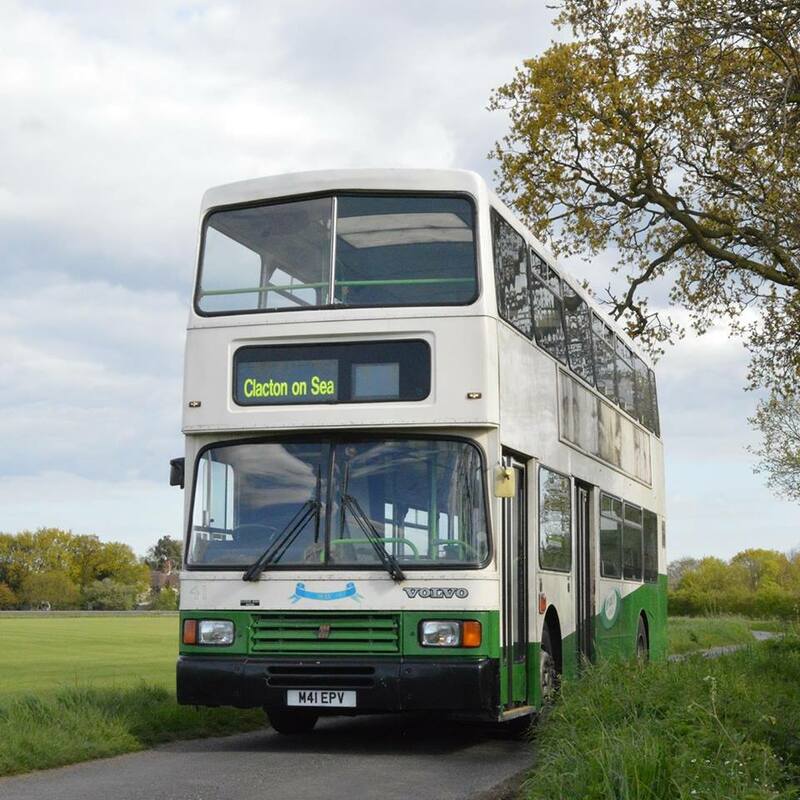 From October 1977 to June 1981, BUF 426C operated from various depots in East Sussex, before moving westwards to Chichester, where it was primarily used on School contacts and Rail Replacement work. The vehicle�s final move prior to retirement in 1987 was to Worthing and sub depot Henfield, where it undertook similar duties. 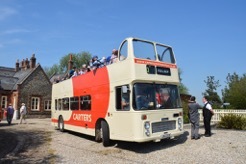 Southdown�s convertible open top Leyland PD3�s outlived their fixed roof counterparts by many years. Even in their latter years with Southdown many of the type would be seen in open top form at the Derby each year, (often in preference to the later convertible Bristol VR�s ), something which BUF 426C did on at least 16 occasions, It has also attended on several occasions since with later owners. In March 1988 BUF 426C and PRX 190B (416 DCD) went to Harris Bus, Grays, Essex, in exchange for two second hand DAF artic units, STW 356W and UHK 212W, two former Harris Group vehicles, that were converted into towing vehicles before being allocated to Portsmouth and Worthing depots. Fred Lawrance, the vehicle�s former owner, was one of two Harris employees involved in their collection from Worthing depot on 11 March 1988. About 2 months later another DAF artic unit was exchanged for BUF 425C. After conversion this unit went to Eastbourne depot. BUF 425C was loaned to Appleby�s for seafront work in Scarborough. 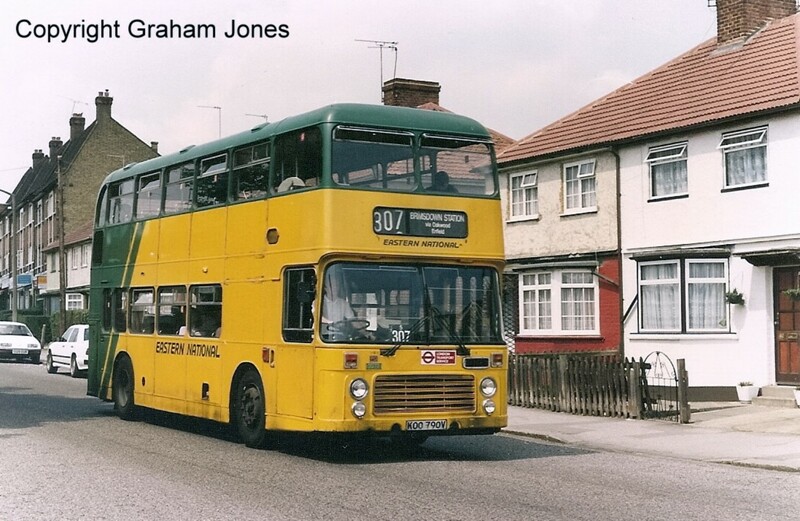 The bus returned to Grays on 26 July 1992, (Another Fred Lawrance and friend�s collection). Whilst with Harris Bus, BUF 426C was used for driver training, private hire work and occasional forays on school contracts and local bus routes. During the summer months the vehicle was operated in open top form. The roof was removed by metal hawsers being attached to the lifting points and raised by a container lifting forklift. The company happily allowed the present owner to take it to various bus rallies that resulted in many enquiries to hire the vehicle. In September 1990 BUF 426C was sold to Brian Birks of Eastbourne. During an extremely cold spell in the early part of 1991, the vehicle�s engine was damaged beyond repair after water in the engine block froze. This was due to weak antifreeze. The vehicle was later acquired by Ensign (dealer). BUF 426C certainly looked a sad sight, as it languished unloved in their yard at Purfleet and later Rainham for about 5 years. By June 1996 the vehicle was acquired by Chris Pearce and others who later became the �Worthing 426 Group�. 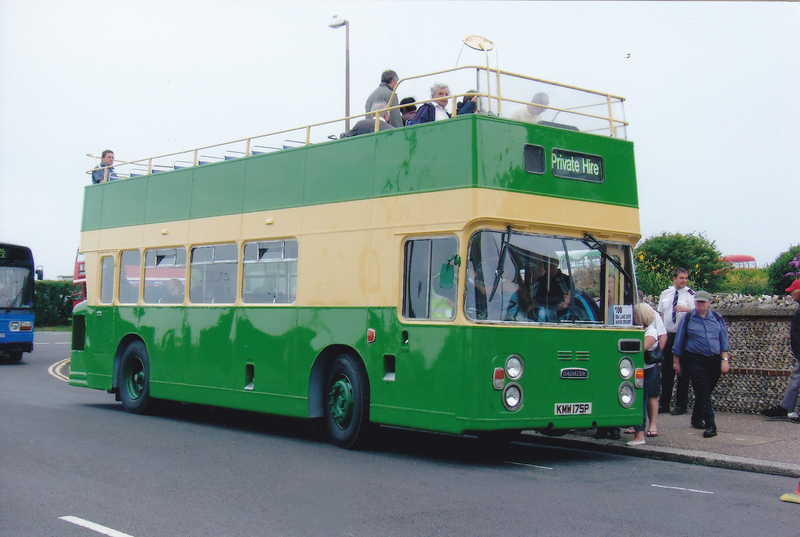 BUF 426C was fitted with an engine from a former Brighton Corporation Leyland PD3, (MCD 135F), and was repainted into traditional Southdown livery in 1997. After several years off the road, Fred Lawrance of Colchester, purchased BUF 426C in February 2010. The vehicle has once again moved from West Sussex to Essex, albeit this time for continued preservation. The roof has now been removed, (June 2010). The bus expected to continue to operate in open top form. 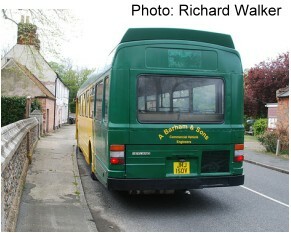 In November 2015 the bus was sold to Adam Barham of Harwich for continued preservation. This bus was new to Hants & Dorset in December 1980 becoming a Wilts & Dorset bus in 1983 when the original company was divided into two. It was re numbered 4448 in July 1994 and totally refurbished by December 1996. It saw service from Salisbury and Poole depots and ended its remarkable 28 year service career at Lymington depot in December 2008. It was stored at Poole for a further 9 months, followed by eventual sale to Ensign bus at Purfleet, who had it for a further 9 months before it was discovered by the present owner in a dark corner of their huge storage facility. It had not been the present owner's intention to purchase a Bristol VR, much less one from an operating company 200 miles from his home in Essex - not even an appearance in "preservation prospects" in Bus and Coach magazine (January 2010 issue) had sparked any interest- but coming across it whilst there to buy another bus resulted in love at first sight and it was bought there and then. Photo: At Salisbury depot in 1996 in an experimental version of the deregulation livery which was not pursued. At acquisition the interior consisted of a mix of faded and non-faded seat trim, including the trim affixed to the ceilin. Following the refurbishment this has been resolved by a combination of fabric paint (for the red bits) and swapping trim from some former Wilts & Dorset Daf/ Optare Deltas owned by the company for whom the owner works. In spring 2012 the bus was dispatched to Lodges Coaches at High Easter for complete restoration. This consisted of re-framing, re-panelling and chassis deep-cleaning and silvering followed by a complete external repaint and partial repaint on the interior. The opportunity was taken to replace the sliding windows that the company removed during the refurbishment. Purists will argue that this is not authentic, which is true, but to the owner, a VR with only hopper windows just didn�t look right! Furthermore, temperatures inside the bus, particularly upstairs can become quite uncomfortable without them. So the end result is a �what might have been! JJT437N has seen 37 years of almost continuous PCV service. Few buses survive for this length of service, let alone survive in good condition. This remarkable survivor was acquired by Michael Cole in April 2012 from its previous owner of 14 years, Venturer Coachways of Woodbridge, trading as AC Aldis of Framlingham, Suffolk. AC Aldis (formerly Rallybeam) had kept it as a spare vehicle under cover and it had seen very little use with them which accounts for its excellent condition. JJT437N was new to Hants & Dorset Motor Services in 1975 at Southampton and given fleet number 3325. In April 1983 it was transferred to the newly reformed Wilts & Dorset Bus Company and saw service from Salisbury and Poole depots, first under fleet number 3325 and later renumbered to 4325. 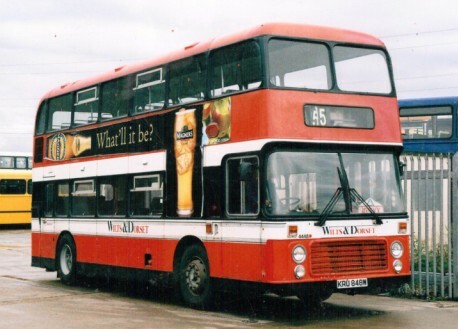 In November 1987 it was repainted into the smart privatised red, white and black livery developed by Wilts & Dorset and, as the first vehicle to display these colours, it was used at the official launch of the new livery. Wilts & withdrew it from service in November 1994 and it was sold through Ripley bus dealers of Carlton. It was acquired by Beestons of Hadleigh, Suffolk (together with sister vehicle JJT436N) where it remained for nearly 3 years. It is thought that Wilts & Dorset removed the seats before sale, in order to refurbish some Leyland Olympians downgraded from coach seating to bus seating. This would account for the smart, but non-original, seats seen today. 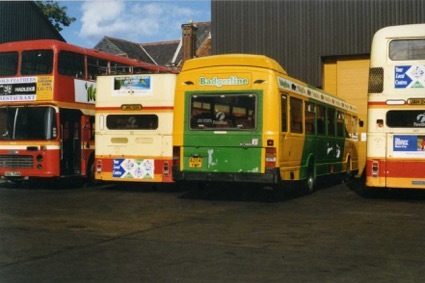 Beestons withdrew the bus from service in August 1996, selling it in November 1997 to David Boughton trading as Rallybeam of Debach. 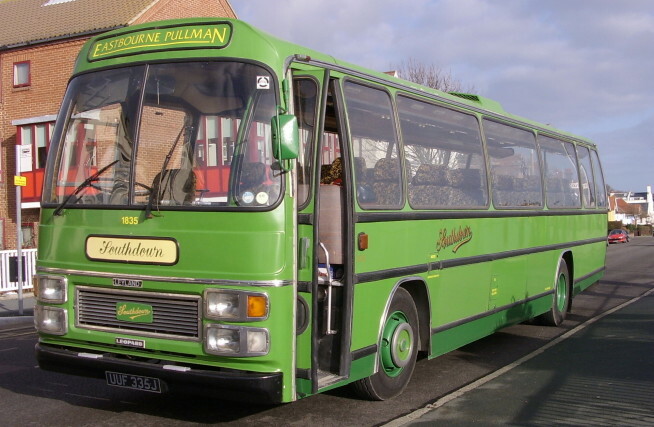 In December 2008 it was registered with Rallybeam's successor, AC Aldis of Framlingham (Boughton traded as Rallybeam Ltd, later trading as AC Aldis & Co Ltd and also as Venturer Coachways Ltd). Until recently, very little had been done to JJT437N, but under Michael's ownership full interior cleaning and refurbishment are under way. Although it is tempting to repaint the bus into the Wilts & Dorset privatised livery that it launched, JJT437N will eventually be repainted into NBC red. No other Wilts & Dorset buses are known to survive in NBC red. Michael already owned KRU848W (3448) preserved in the red, white and black Wilts & Dorset livery. JJT437N has a Gardner 6LX engine which was thoroughly rebuilt while the bus was with Venturer Coachways. It is fitted with Autosteer, an early form of air-operated power-steering renowned for causing rather imprecise steering and excessive king-pin wear. 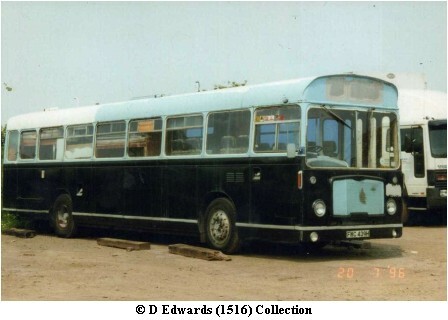 This RELL was new to Eastern National Omnibus Company in 1972 as Fleet Number 1546. It remained in service with ENOC until the 1980s. From July 1985 to April 1993, it was with Essex County Council Education Department as a non-PCV bus. It was withdrawn from their service in June 1992. It was acquired by Viv Carter in April 1993. From May 1994 it was in service as part of Carter's Coach Service, Colchester. Carters Coach Services (of Capel St Mary, Ipswich) is a family run bus operator serving South Suffolk and North East Essex. By April 1999, it was considered a preserved vehicle and was part of their historic vehicles fleet. It was acquired in June 2013 by Luke Deal and has been restored inside and out. 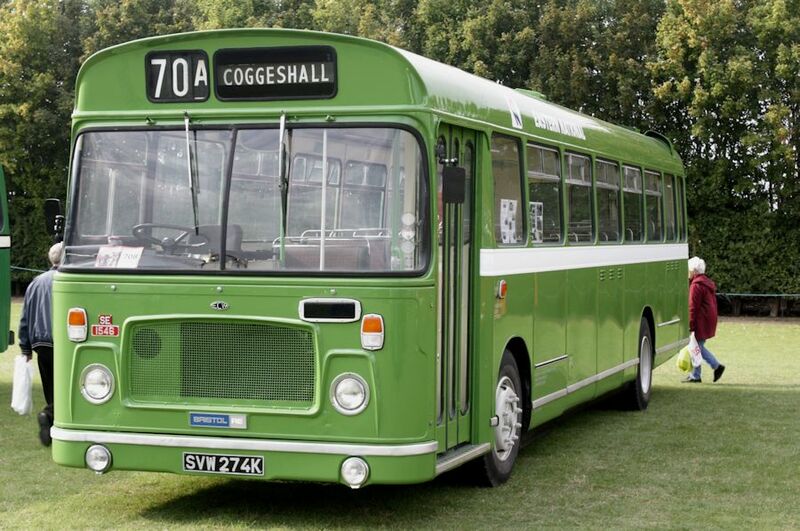 It has been returned to its original NBC Leaf Green livery with the white horizontal band and made its rally debut in this livery at Showbus 2014. The registration NXP847 appears to have been associated with fleet number RT4683, but is currently in storage as RT3480. Meanwhile, fleet number RT4683 is also associated with a 1953 Weymann-bodied RT, registration NXP935. This vehicle had been stored in the open for a number of years, resulting in considerable deterioration before it was moved to covered storage. Owner Mick Ryan continues to assess the vehicle to prevent further decay. This stored vehicle is non-operational. Numerically the last of the Roe-bodied Atlanteans, Ipswich Borough Transport (IBT) number 35, SDX35R was purchased in 1977. These buses were ordered to replace many of the last rear-platform half cab double deckers, in the conversion to "one-man operation" which was advancing during the 1970s. 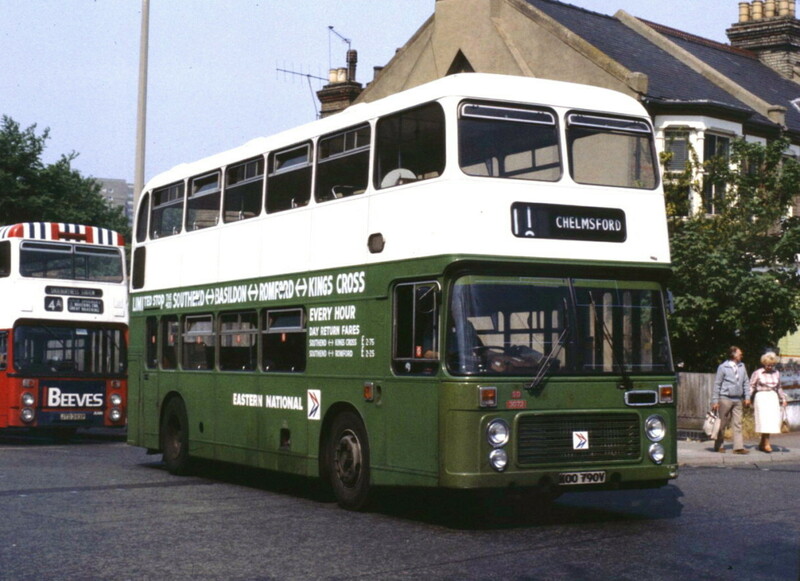 These buses had been delivered in light cream livery, relieved by green stripes favoured by the General Manager and took his surname "Pickup" livery, the colour scheme signifying a one-man operated bus. During the eighties, these buses received extensive overhauls and were painted in a revised green and cream livery with richer cream and more green, which suited the vehicles well. The Leyland Atlantean was the mainstay of Ipswich Buses' double deck fleet with around fifty such vehicles operating in Ipswich at the height of their careers. In the nineties they received a darker green "skirt". Many of these double deckers went to find new homes, with a large number of the batch operating with Lincolnshire RoadCar. 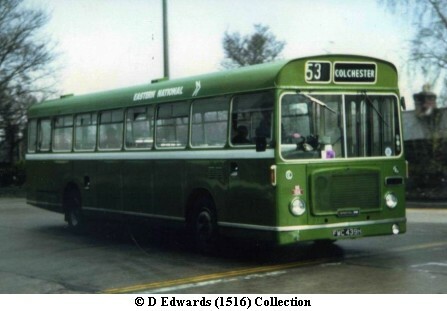 35 was retained by Ipswich Buses for a couple of years, a companion for the last Atlantean - open top number 9. 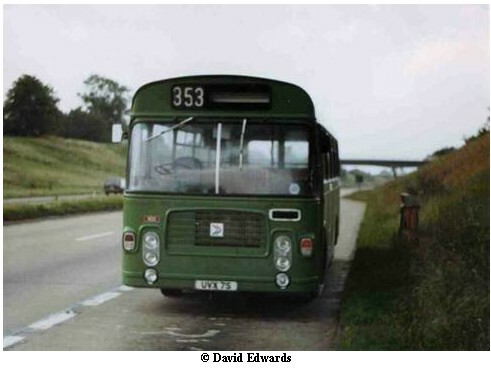 Eventually 35 was sold, but didn't travel too far, being acquired by local operator Carters Coach Services, and found useful work on schools services in the East Bergholt area. After a couple of solid years service with Carters, 35 was sold on to a local preservationist who has showed an interest in it. Nothing more was heard after driving away, and 35 languished for a number of years, eventually losing all its seats and windows. 35 was saved in 2012 by Leon Wells and Dan Trent - who had also recently acquired similar RDX19R, the latter bus having been an abandoned advertising unit conversion - too much structural work had been done to warrant a restoration of 19, but the bus provided an array of useful spares including panels and some windows for 35. 35 is a long-term restoration project, but is once again mobile and gradually being brought back to life with the assistance of a number of CEPB volunteers. 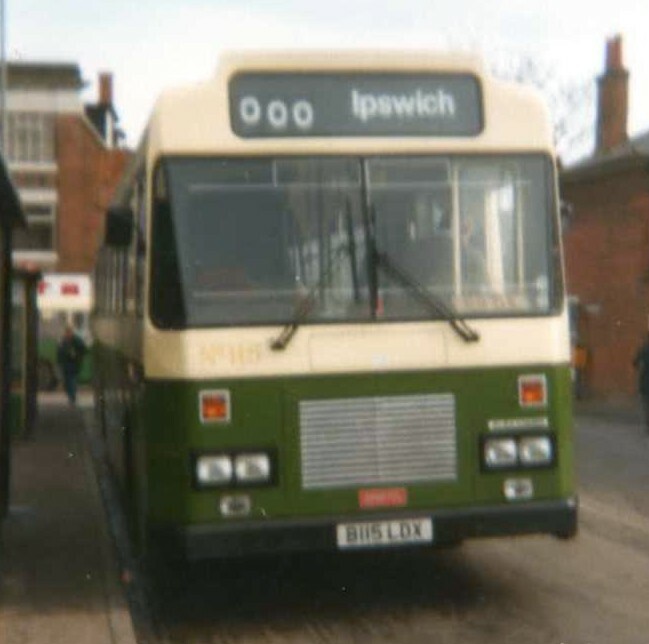 New to Ipswich Buses in April 1995. Joined The Suffolk Bus Preservation Group (part of CEPB) in March 2016 under the ownership of Leon Wells. 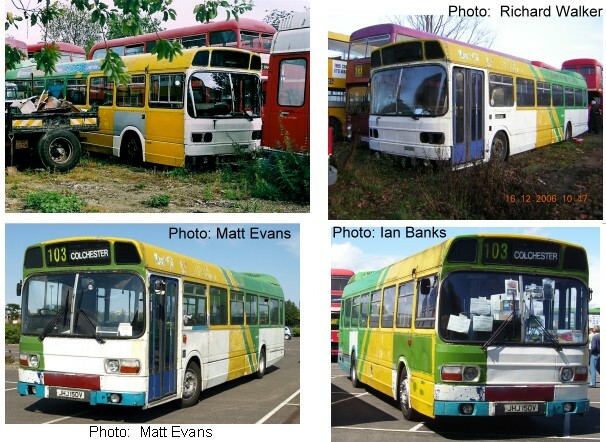 Nine Leyland Olympians with Northern Counties bodywork were bought new by Southern Vectis in 1993 and entered service in experimental "Island Explorer" cream and dark green livery similar in layout to the second de-regulation livery subsequently adopted in 1995 (minus the white and red banding above the skirt, and plus a green stripe above the lower deck which included the fleetname). They were supplied equipped with coach seating. K742ODL was repainted into two-tone Island Explorer blue livery and the "Island Explorer" vinyls below the lower deck windows were removed in 1998. In 2002 she was repainted into Island Explorer Underline Blue livery. In 2004, she was converted to permanent open-top form as O45/29F and retrimmed internally. The rearward facing seats in the upper deck were turned to face forward and the seat covers in both decks were finished in an orange coloured waterproof material and fitted with CD players to provide a commentary through the PA system. They were repainted into Orange & Yellow "Open Top Tours" livery with branding for "The Needles Tour." These Olympians were the only motorised vehicles (excepting residents' vehicles) allowed along the road to The Needles. In December of that year, she was temporarily fitted with Christmas lights and operated a special evening open-top "Tour of DeLights" during the two weeks prior to Christmas (Newport - Ryde - Bembridge - Shanklin - Newport & Cowes). Shortly after Christmas (Jan 2005) she had the upper-deck railings removed and was returned to Hants and Dorset Trim for attention. In December 2005 she again operated a special evening open-top "Christmas Lights Tours" during the three weeks leading up to Christmas and in January 2006 the front destination blinds were replaced with LED displays. In September 2006 she was renumbered from to  and she again ran the three weeks Christmas Lights Tour in December. In February 2007 she was repainted into Island Breezers Blue and Orange open-top livery, and in March of that year she was named "Castle Cove" and fitted with new Orange and Blue seats. She continued to do open top and Christmas Lights tours until 2016 when, after 23 years with its original operator she was retired after the 2016 summer season and made a brief final appearance on the Island at the Beer and Buses weekend event before travelling to Colne Estuary Preserved Buses in Essex. Leyland Olympian A175VFM was new to Crosville Wales in 1984 as fleet number DOG175. It remained with Crosville until 1990 before being sold to Wilts & Dorset.. In 1991 it became Wilts and Dorset Fleet No 3923 (renumbered 4923 in May 1999). As early as 1996 it was at risk of being replaced when Wilts and Dorset acquired Scania double deckers! The Go South Coast Group (GSC) was established 2005 when Go Ahead purchased Southern Vectis and combined its operations with existing Go Ahead subsidiaries Wilts & Dorset and Damory Coaches. After serving in the environs of Southampton and Salisbury, A175VFM became part of the GSC Event Fleet and served at various Isle of Wight Festivals. In Sep 2010, Wilts & Dorset swapped around a number of their vehicles with another GSC subsidiary, Southern Vectis, essentially transferring the older vehicles onto the Isle of Wight. This included A175VFM which served on Bestival Shuttle duties the same month as well as being used for schools work. At the end of 2011, Go South Coast won a large schools contract with Dorset County Council and needed a number of vehicles to service this contract. 4923 rejoined Wilts and Dorset/Damory Coaches on schools work while its sister vehicle, A174VFM, remained with Southern Vectis as a tree lopper. The schools contract was run by the Damory Coaches subsidiary who attracted criticism for using elderly double deckers. Around August 2012, Wilts & Dorset/Damory disposed of a number of older vehicles. Wide Horizon Coaches of Hinckley (near Leicester) apparently acquired 4923 from Wilts & Dorset in August/September. However, the October 2012 issue of BUSES magazine reported that Damory Coaches had disposed of A175VFM to Ensign, Purfleet (dealers). In Nov/Dec 2012, this Leyland Olympian was acquired from Wide Horizon Coaches by Michael Cole, Sarah Cole and Bradley Cole for preservation in Wilts and Dorset livery. B115LDX is probably a unique vehicle in the UK now. It is one of six left-hand drive B21 chassis originally destined for Tel Aviv. 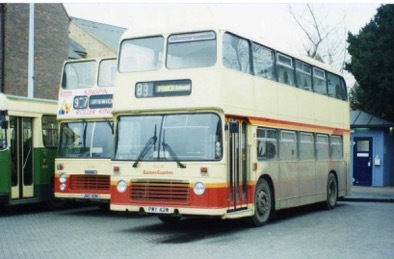 When the order was cancelled, the middle four of the batch were converted to right-hand drive and bodied with N-type bus bodies by Alexander (Belfast) for Ipswich Borough Transport. Ipswich purchased these four from new in 1985 and later acquired others from Ireland. The batch here was from the very end of production and probably the last batch of vehicles to be built at Leyland's Brislington factory in Bristol. B115LDX is therefore one of the last of its type left, and the last of a long line of buses from the factory too. The bus has chassis plates from its time in both left-hand drive (export) and right-hand drive form, including an original Bristol factory plate. It is registered with DVLA as a Leyland. Ipswich was only one of two operators in the UK to buy the Bristol B21, a model loosely based on the integral National, but intended for the export market where operators would not accept the integral Leyland National. It used a frame similar to that of the Bristol RE, but using National running units. The B21 has much in common with the Leyland National and Tiger, including running units, engine and cab arrangement. The B21�s chassis frame runs through full-width and at a lower level between the front wheels. The step up over the axles front and rear is similar. Running units on the B21 are from the Leyland National, with outboard dampers at the front, hence the possibility of lower build. The B21 build consisted of just 90 Leyland B21 chassis of which Ipswich eventually operated 10. The Ipswich vehicles were constructed from four of the last six chassis to be produced at the Bristol factory. The remaining two were apparently not bodied, and the preceding three were never built! As well as the 90 chassis to the B21 design (sometimes referred to as a �Leyland Lion�, not to be confused with the Leyland-DAB double-decker) there was one-off precursor to the chassis-only B21, a National under-frame with an ECW body. 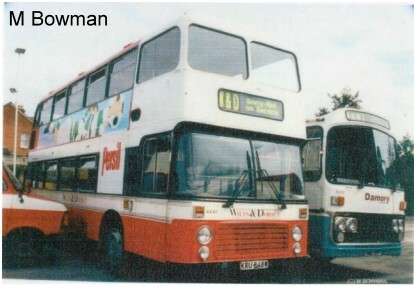 B115LDX and its three sister vehicles (114-7) were purchased initially by Ipswich Borough Transport as high capacity dual-door single deckers for use on the well-used Chantry Estate routes to the south-west of Ipswich. Saloon (single-deck) operation on the Chantry service was dictated by virtue of the low Ancaster Road railway bridge, under which the routes 12 & 13 passed. These buses were capable of high speeds and it was not uncommon for them to be used on private hire work and the excursion programme, often travelling quite far afield. Otherwise the bus operated locally in Suffolk. 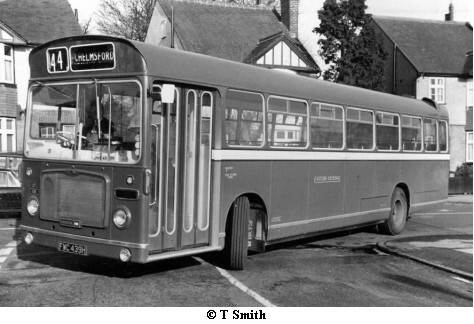 In later life the B21s found favour on Ipswich Buses' longer "SuffolkBus" country services (bus routes taken over earlier from Bickers and Squirrels Coaches), reaching outlying towns and villages of Debenham, Framlingham, Coddenham Hadleigh and Bildeston. At the end of its time with Ipswich Buses, and now re-numbered fleet number 145, the vehicle spent its life in schools services, occasionally being hired to Carters Coach Services for school work, eventually being sold to Galloway Coachlines (numbered 243) for school transport in the Mendlesham area of mid-Suffolk. After a number of years out of use, the bus was purchased for restoration and preservation in January 2013 and is owned by Richard Walker of the Suffolk Bus Preservation Group (part of the Colne Estuary Preserved Buses) collection. This Bristol VR was new to Eastern Counties in 1975, as a conventional double decker, originally carrying fleet number VR152, carrying poppy red livery. The vehicle was converted to Open Top configuration in time for the summer season in 1985, and renumbered OT3. It was used first in Gt Yarmouth, being transferred south for use mostly in Felixstowe after the arrival of two further VRs which were converted to Open Top at around the same time. 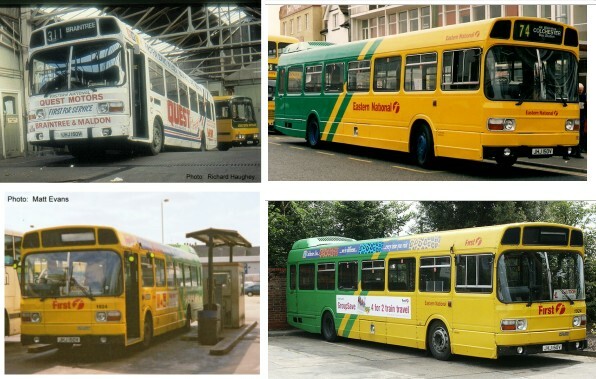 These others were both vehicles from a large batch of former Ribble purchased by Eastern Counties, and those became OT4 & OT5 � these went to Gt Yarmouth, initially being numbered OT351 OCK 995K and OT352 NCK 980J. OT1 & OT2 had been older Bristol Lodekka models with OT2 (VDV 753) also being used at Felixstowe until OT3�s arrival there in late 1985. OT3 was renumbered OT353 in April 1989. It was renumbered again to 323 in 1996 and withdrawn from service in January 1997, passing (with many other Eastern Counties vehicles of the time) to Jordan�s (dealer) at Coltishall, albeit engineless by this time. It was purchased for restoration and preservation by Laurence Burt of Shaftesbury in 1997, passing later to Carters in 2006, where the restoration work was completed by 2015. During restoration, the vehicle was fitted with a Gardner 6LXB engine and 5-speed gearbox. Final works have recently been completed to make the vehicle operational once more, and restoration continues. 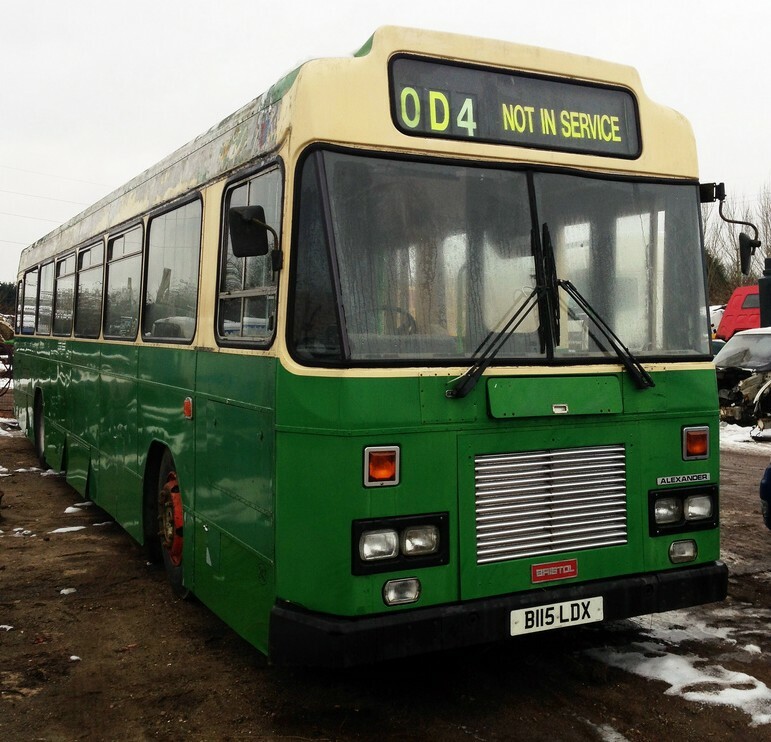 Having been purchased in March 2016, the vehicle is now in Suffolk Bus Preservation Group collection, together with a number of former buses local to the area. KMW175P was delivered to Thamesdown Transport, in March 1976. The vehicle was one of ten similar vehicles delivered to the company that year, KMW 171-180P. The vehicles were painted in light blue and cream livery. The company already operated a number of Daimler Fleetline�s, all purchased from new, but these 10 vehicles the first to be bodied by Eastern Coach Works � (another 25 followed in subsequent years). 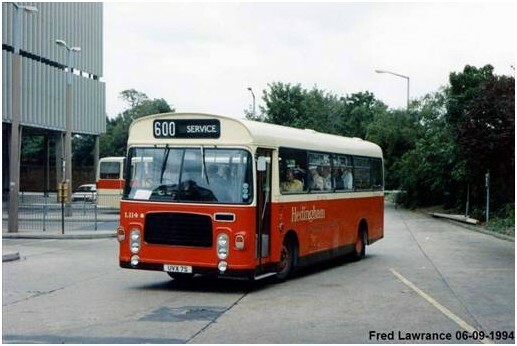 Over a period of many years, Thamesdown Transport also acquired additional second hand Fleetline�s from London Transport (DMS/MCW x 10), Greater Manchester (Northern Counties) and Bournemouth (Alexander). 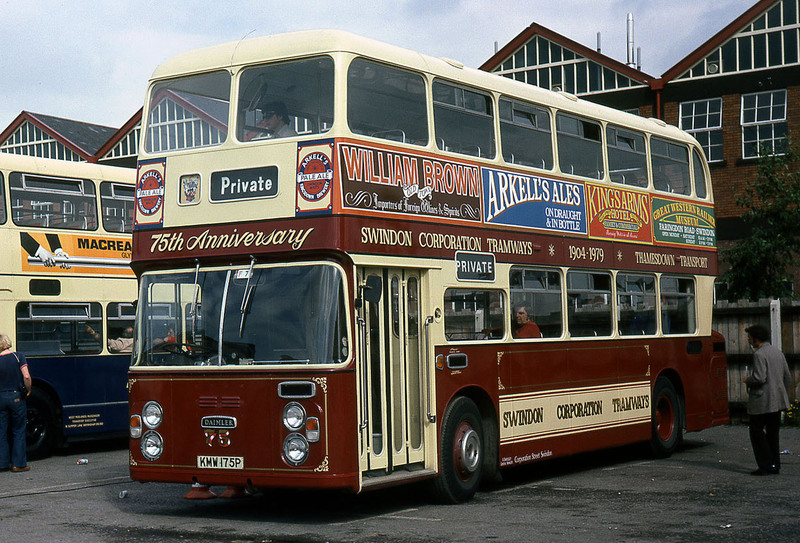 In order to celebrate 75 years of Municipal Transport in Swindon, during September 1979 KMW 175P was selected to be painted in Swindon Tramways livery, maroon and cream with lining and was renumbered 75. In this guise the vehicle took up the mantle of garage �show bus� and apart from undertaking its regular duties attended a number of bus rallies. After repainting from the above mentioned livery, KMW 175P wore at least one all over advert livery for Swindon Permanent Building Society. During 1986 the company removed the roof from KMW 175P to convert to an open top vehicle, whether this was the result of accident damage or otherwise, I can�t say at this time. KMW 175P initially wore the standard cream and blue company livery prior to repainting into the later livery which was a bolder cream and darker blue. It also carried the name of �I K Brunel�. The bus remained with the company until August 2005, before being acquired by Phil Blair Bus Marketing of Eastleigh. It would appear that the vehicle did not did not lead an over active life with Thamesdown, as photographs of it working during this period appear to be thin on the ground. In October 2005, KMW 175P appeared an event in Swindon to mark the opening of Barnfield Road Depot, albeit in Phil Blair�s ownership, but with Thamesdown names removed. 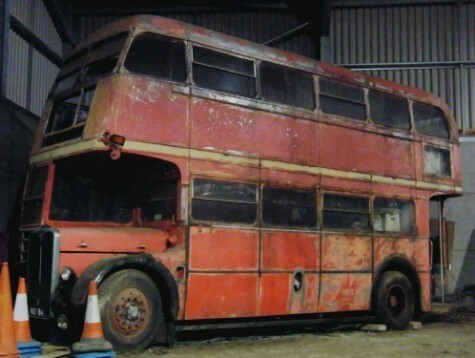 In January 2006, the bus was purchased by Chris Pearce of Worthing. He initially operated the vehicle in Thamesdown fleet colours until it was repainted in Southdown green and cream livery, (without fleet names), in 2009. In December 2015, following a several years of inactivity KMW 175P was acquired by Fred Lawrance of Colchester and the vehicle moved to its new home in Essex, where it will continue to be rallied in its present colour scheme with a few detail changes including being renamed I. K. Brunel.